Who doesn’t like dining in a fine restaurant, enjoying the culinary delights and admiring the dishes arranged on the plate? It can be a wonderful evening for all the senses that will be remembered for a long time, whether it’s by candle light, under a chandelier or in a stylishly lit atmosphere. And yet some people are opting for a new experience called dining in the dark. There is one thing here that guarantees a unique atmosphere – the absence of light. Welcome to a new trend. The reality of everyday life is of course rather different. If there is no light when we expect it or we do not get enough of it, it can bring on depression. However, the effects of light are not always positive. Sunburn, allergic reactions and even skin cancer can be the consequences of too much light. Various researchers at FAU are investigating what light does to us and how it effects our bodies and minds, and society. Their work has resulted in findings that are highly significant for society and for each of us as individuals. Over ten years ago, a wave of indignation swept through beer gardens across Bavaria. A planned EU directive on protection from radiation would have required Bavarian waitresses to wear high-necked blouses. We would have had to say goodbye to the traditional Dirndls which expose some skin and show the décolletage. The aim of the directive was to protect people who work outdoors from the sun’s rays. 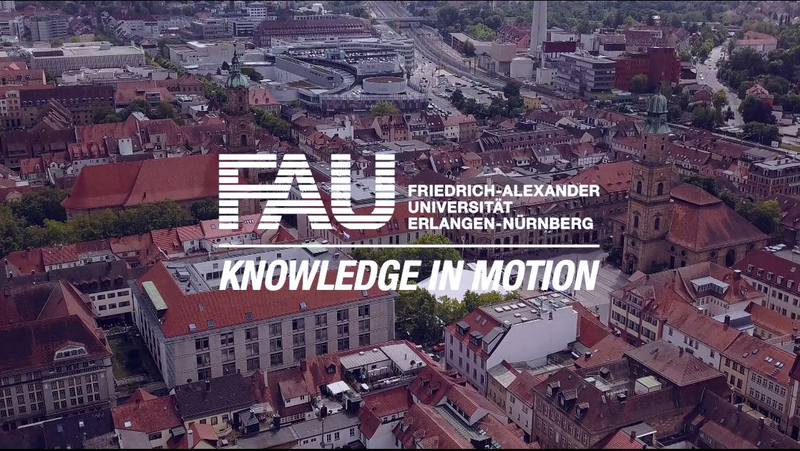 ‘The directive on UV protection was never passed,’ explains Prof. Hans Drexler, director of the Institute and Outpatient Clinic of Occupational, Social, and Environmental Medicine (IPASUM) at FAU. However, even a thick layer of the highest factor sun cream would not help the Dirndl-wearing waitresses with their low-cut blouses, as sun cream can never provide complete protection. When it comes to UV radiation, Prof. Drexler is a recognised expert. One aspect of his research focuses on the best ways to protect employees from UV radiation, while he also studies the effects of artificial UV light in the workplace and how light affects performance. He also examines which requirements have to be met for a disease to be recognised as an occupational disease. In August 2013, an advisory committee of medical experts on occupational diseases at the Federal Ministry of Labour and Social Affairs used his preliminary work to make a recommendation that a particular type of skin cancer that can be caused by natural UV radiation, squamous cell carcinoma, be added to the list of occupational diseases. ‘Squamous cell carcinoma of the skin is one of the most common kinds of cancer in both men and women in Germany,’ Prof. Drexler says. He carried out a study in which he measured the natural dose of UV radiation received by people who work outdoors, such as waiters and waitresses in beer gardens, as well as road construction workers and farmers. Around two to three million outdoor workers are affected. We are all exposed to solar UV radiation, but the key question for Prof. Drexler was ‘at what point the dose of UV radiation becomes so significant that it can be a contributing factor in work-related squamous cell carcinoma.’ The study’s findings were eye-opening. ‘An additional UV dose of 40 percent doubles the risk of developing this type of cancer,’ Prof. Drexler explains. From a medical point of view, waitresses should not be wearing Dirndls at work. With regard to the example of beer garden staff, his standpoint is clear. ‘From a medical point of view, waitresses should not be wearing Dirndls at work,’ he says. Another area in which Hans Drexler carries out research is the apparent side effects of light sources. One focus of the biomonitoring that his institute specialises in is how used mercury light sources are handled and how to dispose of them properly. They should never be thrown out with household rubbish. ‘If they are incinerated the mercury in them will rain back down on us at some point,’ he warns. Light brings life, but it also bring disease. ‘From a dermatologist’s perspective, the negatives outweigh the positives when it comes to UV light,’ says PD Dr. Beatrice Schuler-Thurner, head of experimental immunotherapy at Universitätsklinkium Erlangen’s Department of Dermatology. UV light weakens the skin’s immunity, for example, as you may have experienced if you have ever developed a cold sore after spending too long in the sun. At the very least it causes increased ageing of the skin, and at worst it can cause skin cancer. ‘Skin cancer is the type of cancer that is increasing the fastest among those with pale skin, despite numerous awareness campaigns,’ says Dr. Schuler-Thurner. Treatment for melanoma has improved dramatically in recent years. One of the most successful methods of treating it is by influencing the immune system. She treats skin cancer patients whose cancer has already metastasised. Despite the advanced stage of their condition, there is hope for those affected. ‘Treatment for melanoma has improved dramatically in recent years. One of the most successful methods of treating it, for example, is by influencing the immune system,’ Beatrice Schuler-Thurner says. This form of treatment is what she specialises in. She vaccinates patients against the malignant melanoma with a vaccine that is therapeutic – rather than prophylactic like vaccines against pathogens. ‘Statistically, the average survival time of patients with metastasised melanoma is eight months. The average survival time of our patients who had been vaccinated was more then four years; several patients have survived for almost 15 years.’ The vaccine that is given to the patients is the revolutionary result of many years of research by Dr. Schuler-Thurner’s husband, Prof. Gerold Schuler, who is head of the Department of Dermatology at Universitätsklinikum Erlangen. In the Department of Dermatology’s cleanroom, Dr. Schuler-Thurner cultivates dendritic cells from the patient’s blood. These cells are then ‘programmed’ to activate the patient’s immune system to fight the tumour. ‘Immunotherapy does not cause any harm whatsoever.’ However, she also stresses that ‘the earlier cancer is diagnosed, the higher the chances of successful treatment.’ The first cancer patients in Erlangen were vaccinated with dendritic cells back in 1997. Since then hundreds of patients have been treated in this way. Those who have been receiving the treatment since its introduction were vaccinated for the first time over 14 years ago when they had stage IV melanoma. ‘Today they lead completely normal lives that are only interrupted by an injection twice a year,’ Dr. Schuler-Thurner explains. Universitätsklinikum Erlangen now offers the procedure as an optional form of treatment. Furthermore, this summer a phase III study is being started which is a significant step towards getting approval for the drug. As part of this study, treatment will be given to patients with a melanoma of the eye. It is now considered proven that UV radiation is a cause of skin cancer. This is triggered by sunburn which is particularly common among children and young people. For this reason, Beatrice Schuler-Thurner is also actively involved in promoting sun protection. ‘Children need a good amount of fresh air and sunlight, but this must not lead to sunburn,’ she stresses. As the days grow shorter and winter draws near, some of us can’t wait to head off on our skiing holidays to race down the slopes by day, party by night, and do it all over again the next morning. This energy and enthusiasm is not shared by patients with seasonal affective disorder (SAD) which sets in when the darker season begins. ‘Patients lack drive, everything feels hard, and what was easy before requires a lot of effort,’ Prof. Johannes Kornhuber explains about SAD sufferers’ symptoms. In addition, they often experience physical discomfort, require more sleep or gain weight. ‘SAD is attributed to a lack of light; both the lack of daylight and the reduction in its intensity,’ explains Prof. Kornhuber, who is head of the Department of Psychiatry and Psychotherapy. ‘We therefore recommend that patients spend time outside. In doing so, they are not only exposed to daylight but also get exercise, which also helps combat depression.’ Alternatively, they may receive light therapy. We want to offer what we call dawn therapy. This involves simulating a natural sunrise – in the patient’s room. Prof. Kornhuber has shown in a unique study that the strength and, in particular, colour of light has an effect on people. The study is based on the recent discovery that there is a photoreceptor system in the human eye that does not transmit visual information. Participants looked at different types of light for 20 seconds each, as the room was lit alternately with blue, yellow and white light. ‘We discovered that both alertness and the speed at which information was processed improved with blue compared to yellow light,’ Prof. Kornhuber summarises. Light should not be used to manipulate employees. This article was originally published in our research magazine friedrich in an issue which is all about light.